Provide comfort for the family of Cynthia Carroll with a meaningful gesture of sympathy. 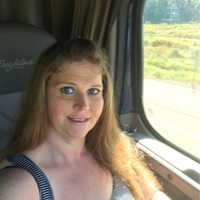 Cynthia D. Carroll, 43, of New Martinsville, WV died Sunday, March 31, 2019 at her home. Cynthia was born June 1, 1975 in New Martinsville, WV; daughter of Roy (Darlene) Yoho of Proctor, WV and the late Carol Neff who passed on March 28, 2019. Surviving in addition to her father are her five children, Shayla Morrill, Isaiah Morrill and “Katie” Morrill and Trent Nottingham and Trevor Nottingham; three siblings, Joey (Sherri) Carroll of Friendly, Russell Neff, Jr. of New Martinsville, WV and Crystal (Mike Wise) Perine of Sistersville, WV; two half-brothers, Ray (Jen) Yoho and “Bub” (Stacey) Yoho both of Proctor, WV; step-father, Russell Neff, Sr. of New Martinsville, WV and adoptive parents, William and Kay Carroll. Private services were held with burial to follow in the Yoho and Parsons Cemetery. To send flowers in memory of Cynthia D. Carroll (Smith), please visit our Heartfelt Sympathies Store. Provide comfort for the family of Cynthia D. Carroll (Smith) by sending flowers. I'm so sorry..prayers for you all. Very sorry to hear about Cindy, she always treated me very nice, she will be missed, so sad you had to leave here so young. God bless 🙏❣️ you all.